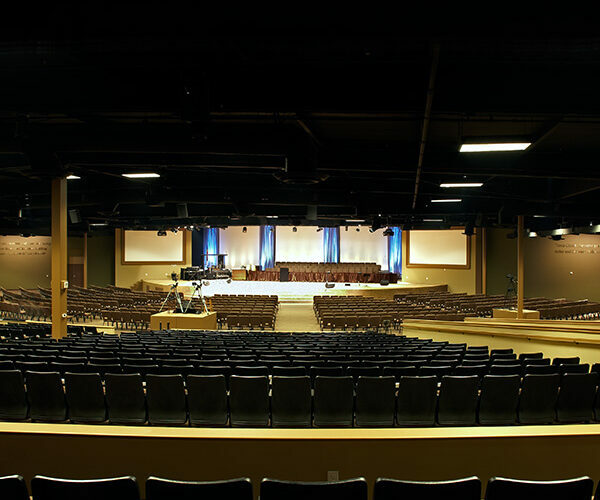 The Rock, in Anaheim, California features a large Truss-Style Cinefold Projection Screens, 60’w, with curtains dividing the surface for special effects and two Onyx Projection Screens on either side. 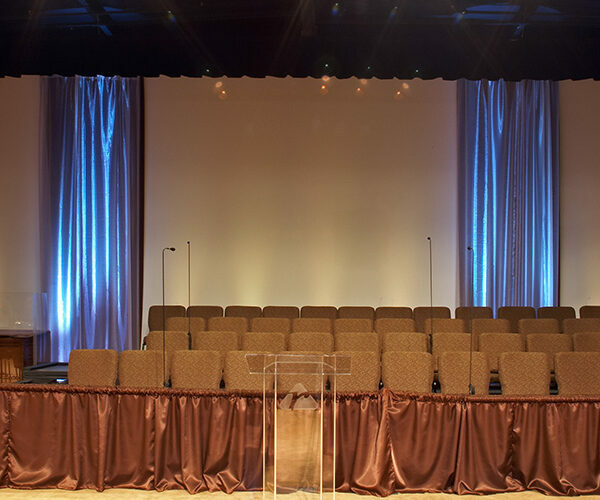 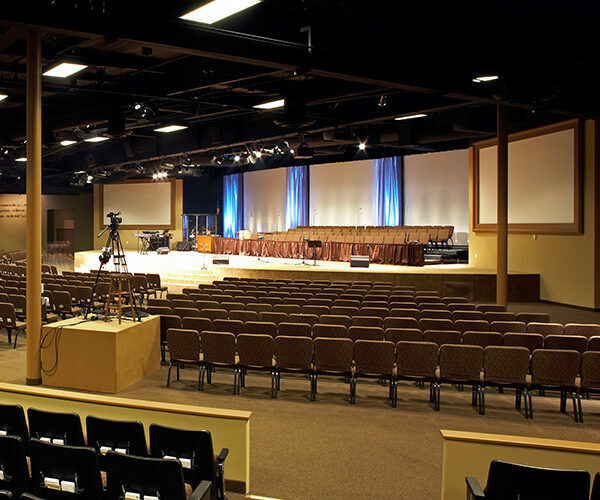 The Truss-Style Cinefold is a large folding portable screen with an extra rigid truss-style frame. 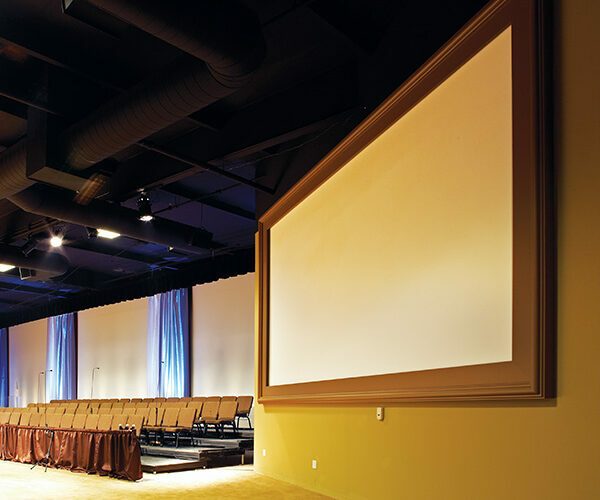 The Onyx is a permanently tensioned projection screen that provides a beautifully framed image, and assembles in about 10 minutes.